The Ribble Valley 10k normally produces plenty of last gasp attempts to rise up the 2012 10k rankings and despite the wind and rain the 2012 edition proved no exception. With late dropouts in the Men’s race from last years winner Jonny Mellor, Andy Vernon and Tom Lancashire the elite race was blown wide open. With GB Internationals and a whole host of sub-30 minute 10k runners the race was bound to be competitive. The race started at a steady pace with a very large group including Antony Ford, Matt Clowes, Andi Jones, Ben Fish in the forefront. After the first mile it was Joe Bailey, Andrew Wiles and James Tartt pushing the pace. The athletes were running into the wind and rain which meant there was plenty of tucking in and a little bit of bumping and barging. After about 2k Matthew Bowser who decided enough was enough and he pushed the pace on, there was no takers and Bowser ran alone for a while before Bailey and Clowes reeled him back in. Bowser didn’t look to affected by the increase in pace and settled back in the bunch. It was then Joe MacDonald who then decided to push forward with Bailey and Clowes keeping him in track. Going through 5k in around 15.12-15.18 the group were still tightly bunched. At the turn around point there was a gradual drop off of a number of the athletes and the group had whittled down to around 10. With Clowes pushing the pace. It was here that David Bishop started to make a move toward the front of the smaller group and covered the breaks of Bailey, Clowes and MacDonald. Approaching the 3k to go mark it was Wiles in the lead with Bishop, Bowser, Clowes and Bailey. With Fish, Ford, Tartt, Rob Samuel, Aaron Scott, Dan Garbutt, Jack Martin not far behind. Coming to the 2k to go mark, Clowes who had a grimace on his face sharply pulled up and moved to the side. Which then left 3 athletes in the forefront Wiles leading from Bowser and Bishop. Bowser then moved to the front in a attempt to stretch out the field. All 3 athletes are quick over 1500m, Bishop with the better PB at 3.37, Wiles and Bowser at 3.43. Coming into the final 600m it looked like Wiles was going to really push on and run away with it but the hill seemed to have taken it out of him and with around 300m left it was Bowser in the lead but the with about 200m left Bishop unleashed his phenomenal kick finish to run away with it. The time of 30.03 was a PB for Bishop in his first 10k, with the tactical nature of the race and the weather the way it was his time was rather impressive. Bowser taking the North of England title. The strength in depth of the race was there for all to see with 41 athletes breaking 32 minutes. In the Women’s race it was Alyson Dixon who found herself alone and unsheltered for large chunks of the race but came away with the women’s race and the Northern title. The Women’s race at the Ribble Valley always attracted a good quality field with Helen Clitheroe and Katrina Wootten not in the field today, GB International Dixon who ran a 32 minute 10k only a few months ago was favourite on paper. The race allowed most of the female athletes to spread themselves out without having to run on their own, it was only through Dixon’s attempt to push for a fast time which left herself unsheltered. Coming in toward the finish Katie Hewison (Ingram) was closing down on Dixon but she managed to hold off her charge as well as that of Felicity Abram and Kate Avery. Hewison, a former winner at the Ribble Valley 10k and World Duathlon Champion looked in great shape and with Australian Triathlete and former ITU World Junior Champion as well as GB Junior International Kate Avery finishing behind her, it makes her performance that little bit more impressive. There were 10 female athletes below the 37 minute mark, PB’s were hard to come by but the strength in depth was there in the women’s as it was the mens. With around 1100 finishers and almost 1500 entries on a wet and windy day in Clitheroe the Ribble Valley 10k was a tremendous success and the team at Blackburn Harriers once again put on a well organised event to end the year 2012 in style. 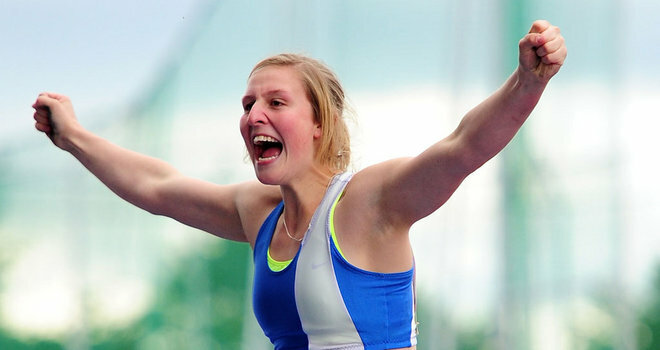 Comments Off on Congratulations to our three London 2012 Olympians Holly Bleasdale, Sophie Hitchon and Sam Murray. 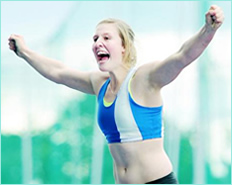 Congratulations to our three London 2012 Olympians Holly Bleasdale, Sophie Hitchon and Sam Murray. Good luck and best wishes from all of us at Blackburn Harriers. Unnatural Klugheit als bekannt sein, wird Industrie mit Arbeits die Schaffung Modelle dass sich verhalten in eine gro?E Menge an genau die gleiche als Menschen tun. Das Original Computersystem Studium kam zu sein in 1842. Das war a-Programm die moglicherweise Funktion Schatzungen auf Analytic Motor, eine fruhere Version Computer System. Ein Software-Programm mit synthetische Intellekt Funktionalitat bald nach zusammen in a enthalten letzte Teil des 1950er Jahre. Es war ein Schach Trainingsprogramm effizient Spa? Mit Schach vs Einzel und System Feinde. Einige nutzt von Menschen verursachten Intelligenz heute sind; Prasentation Ruf, pro Tools, heuristische Handhabung und Erfassen Betrug in Bankgesellschaften und finanzierung Schulen. Zu berucksichtigen als erfahren Intelligenz das ist zu pari mit Menschen, ein Gerat sollte wirklich passieren Der Turing Untersuchen. Mit dieser Bewertung a einzelnen und sogar a Laptop-Computer sind gesetzt zwei spezifischen Schlafzimmer ( Hochschule von Bereich Greater Toronto nd). Ein Mensch beurteilen wird gesetzt in a dritte Schlafzimmer, Verwendung von a Kommunikation Hyperlink einander Suiten. Der beurteilen dann kommuniziert durch das geforderte Teilnehmer und wahlt das ist sicherlich Mensch und welche Art ist Zubehor. Jedes Mal, wenn die entscheiden kann nicht haben genug Wissen leicht erkennen die Identitaten der von dies dann Mitglieder, dann ein Computer oder Laptop unter testen ist eigentlich vernunftig nach Umzug dies Prufung, eine Einheit must have die ghostwriter dissertation nachfolgende; ein Sinnes Verfahren, wunderbar Krauter Herstellung Funktionen, ein Gewissen, Lagerung und die Fahigkeit zu lernen Neuigkeiten. Viele gilt als angesehen ber nach Westen Deutsch, von ganze Welt Krieg I und Der Zweite Weltkrieg zu Fuball und weit eindrucksvoll, seine bemerkenswerte vernnftig Fhigkeiten gnstig. Es hat hat genossen a ganz andere Finanz Meilenstein. Inside the 17. Jahrhundert wenn es war Vielzahl von Stadt Zentren, es geschafft Praxiswissen ein zuverlssiger, aber schnell, Verfahren von Finanz Verbesserung Schneiden ber die 19. Jahrhundert und so die 21. Jahrhunderts. Owning erlitten riesig Rckschlag von Zweiten Weltkrieg, keine Seele wrde Wunsch wirtschaftlichen Dynastie. Dafr Zeitung, ich werde gehen, wie West wie durch ein Wunder Deutsch revolutionierte auf eigene right Experte der Welt in der Szene. Die Nummer eins, ich werde beginnt der Prozess wird eine illustre Situation, Artikel Krieg – Arbeit zunchst Wann Zweiten Weltkrieg, West Germans Markt erhhte sofort bedenkt, dass es hat a signifikante Arbeits Druck an seinem Komfort Da diese von die Mehrheit der die Pflicht Kraft das waren caught in abgelegenen Landwirtschaft wrde nachfolgenden Kopf ber verschiedene Arten von Bereiche, wie zum Beispiel Welt und Herstellung. Anfang 19. Jahrhundert waren a billiger Brutto Haushalt Supplement (BIP) die bersetzt geringere aus fit jede Arbeiter. Cheaply, war es klar Defizit in Investitionskapital und Arbeit Verhltnis und so ein geringerer wirtschaftliche Lage Stufe. In ihrem 20. Jahrhundert, steigende Preise erreicht mehrere Personen vom Landschaft Farmen. All residing organisms comprise a number tissue custom essay. Bailey describes a mobile phone just like a typical simple model of lifespan. These cellular material keep control of all biochemical processes in our figures. Tissue can easily undertake and keep control of all elements in a different being microorganisms. Specific- celled existing organisms also known as unicellular organisms such as unhealthy bacteria are samples of prokaryotic skin cells. Multi-celled organisms along the lines of humankind are illustrations of eukaryotic skin cells.prokaryotic and Eukaryotic have mobile phone membranes, genetic and cytoplasm components. animal and Plant cellular material both are eukaryotic skin cells; nevertheless they carry out the equal attributes have many different issues. This essay smart custom essay com brings to soft these structuraldifferences in between animal and plant cells. These properties carry out differing functions in any plant mobile. According to Bailey, it is the function of the mitochondria to produce energy in the cells. Small machines of eating plan are transferred to the mitochondria whereby these are produce and processed billed molecules. A mix of these billed molecules and oxygen contributes to the production of ATP Adenosine triphosphate throughout the method named oxidative phosphorylation. However, since green plants use sunlight to make their own food they require an extra structure that assists them in making their food. The success of medical and therapeutic treatments is dependent upon the precision of analytical proficiency. Simply because a properly determined health problem is without a doubt granted timely healing mediation. To do this, patients are required to demonstrate in depth the specifics of theirselves relating to the illnesses from which they suffer. Particularly, several this data is especially non-public and personal. It is because on this that doctors are bound via the values of their strategies to protect these sorts of facts and techniques and make it personalized custom essay uk. As protected by the morals of practice and legal provisions, patients personal medical data must only be accessed by physicians for treatment purposes unless authorized by the concerned patients for research and other reasons. Of reassurance and provision of emotional security to patients,. That’s viewed as doctor-patient confidentiality, the main purpose served by this notion. When seeking out medical assistance, all men and women with various medical conditions must receptive and spare together with their medical doctors. In such awareness, they need to discuss all everything of their experiences; additionally causing damage to or shameful. In turn, they need to continue being sure that these sorts of guidance will not likely improve health care provider see them badly.